The plea comes two days after the Supreme Court asked the Tamil Nadu Governor to consider the mercy petition of A G Perarivalan, another convict in the 1991 case. 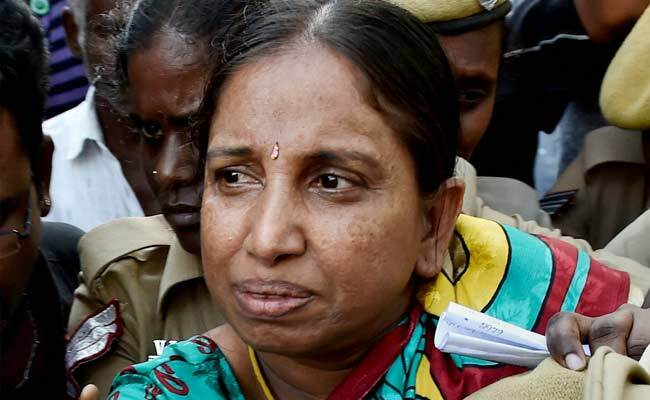 Nalini Sriharan, a life convict in the Rajiv Gandhi assassination case, has forwarded a petition to the Tamil Nadu Home Secretary urging the government to consider her plea for early release. A life convict at the Special Prison for Women, Nalini in her petition recalled that she had made a representation on February 22, 2014 to the government seeking her release under Article 161 of the Constitution. Article 161 deals with the judicial powers of the governor of a state. Her plea for release was in accordance with the state government's 1994 Scheme of Premature Release of Life Convicts, she said. In her petition, which she forwarded through the Superintendent of Prisons Friday and made available to the media, she said following her 2014 petition, she moved the High Court in 2015 seeking a direction to the government to consider her plea for release. In its order dated July 20, 2016, the Madras High Court had said the authorities were at liberty to consider her representation in accordance with law subject to the outcome of another writ petition in the Supreme Court. The High Court's judgment has been confirmed by a division bench in its order of April 27, 2018, she said. Days ago, "the Supreme Court had disposed," of a related pending petition too, she said. In view of the ruling of the Madras High Court and the top court disposing of a related plea, Nalini said "my representation dated February 22, 2014 seeking my release under Article 161 of the Constitution in accordance with the said scheme...may be considered and I may be released from prison at an early date." She said she was "fully eligible" to be released under the scheme. The top court has disposed of a petition by the Centre regarding a proposal for the release of the convicts, filed by the Tamil Nadu government. 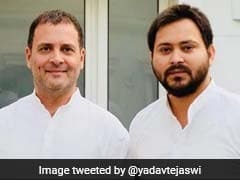 The Centre had on August 10 told the Supreme Court that it does not concur with the Tamil Nadu government's proposal to release the seven convicts in the Rajiv Gandhi assassination case, saying remission of their sentence will set a "dangerous precedent" and have "international ramifications." On January 23, the top court had asked the Centre to take a decision within three months on a 2016 letter of the Tamil Nadu government written on March 2, 2016, seeking its concurrence on releasing the seven convicts.